The Minister of Planning Nuri al-Dulaimi, on Sunday, German expertise to contribute to investment projects in the liberated areas, while the German ambassador to Baghdad Cyril Nun on the upcoming visit to the German Minister of Economy Peter Altmayer to Iraq. "The Minister of Planning Nuri al-Dulaimi received the German Ambassador to Iraq Cyril Nun, and discussed increasing international support for reconstruction projects and stability, and contribute to sustainable development projects to support the private sector," the Ministry of Planning said in a statement. Al-Dulaimi called for "German expertise to contribute to investment projects, especially in the liberated areas, which have been extensively destroyed in its infrastructure." He stressed the importance of establishing a German support group, which is the nucleus of an international group, , And provide international advice to develop the work of the private sector. 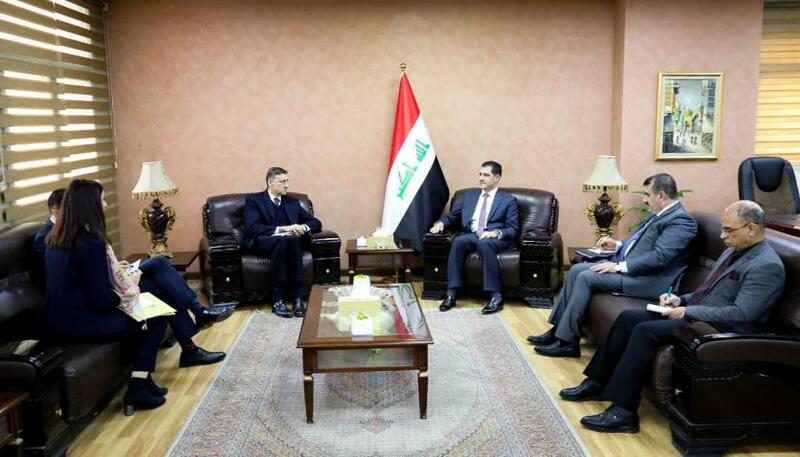 The Minister of Planning, Dr. Nouri Sabah al-Dulaimi, received on Sunday the German Ambassador to Iraq Cyril Nun and his accompanying delegation. The meeting discussed increasing international support for reconstruction and stability projects and contributing to sustainable development projects to support the private sector. Dr. Nouri al-Dulaimi called on the German expertise to contribute to investment projects, particularly in the liberated areas, which were heavily damaged in its infrastructure. He pointed to the importance of unifying and strengthening efforts with the Iraqi government in all possible fields. , Which is the nucleus of an international group that works to support government work projects in various sectors and provide international advice to develop the work of the private sector. The Secretary General of the Council of Ministers received Dr. Mehdi Alalak German Ambassador to Iraq Dr. Cyril Nan to discuss the details of the agenda of the next meeting of the team to restore stability, and set a date for the meeting of the working group on the stability of donor countries in April next, and the policies of the work plan and financial allocations, as well as the preparation of terms of reference to form a committee to follow up the file re Stability after 2019. The German ambassador, in cooperation with the Iraqi government, called for the creation of all conditions and conditions that guarantee the achievement of a dignified and safe living in the Sinjar district, referring to the intention of the German government adviser for religious affairs to visit the judiciary in the coming period as an initiative to promote peaceful coexistence. 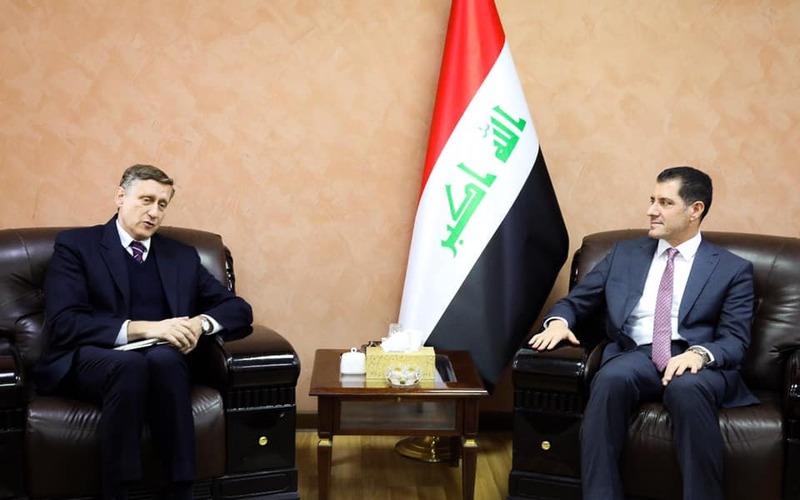 In the same context, the parties discussed the file of contribution to the reconstruction of Iraq, where the Secretary-General to allocate $ 36 million from the federal budget for 2019 to support this file. 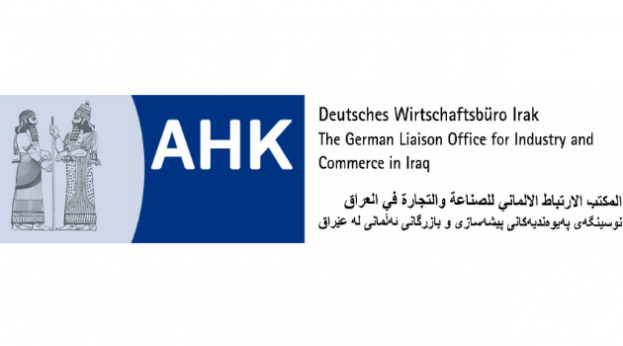 Germany is the second largest humanitarian donor to Iraq, with the German Foreign Ministry supporting more than 500 million euros in the past three years.